While Zeus was the king of the Greek gods, Poseidon had exclusive control over the sea….including the weather. Unfortunately there is no primary season for elections for Greek gods, because he needs to be replaced. February had all the makings of a great fishing month, especially inshore; trout were available for the first time in many years, the redfish limit increased to two fish per angler, and while both red and gag grouper were still closed, amberjack, Florida snapper and black seabass were available for our offshore fishermen. But Poseidon blew that up. Almost every weekend was windy, and most added some fine rain to the mix. The temperatures were ridiculously mild for February, confusing fish, redbuds and dogwoods as well as fishermen. There were fish around; Capt. Tommy Thompson and I found them, but it was a very challenging bite. We found both trout and redfish to be very concentrated. 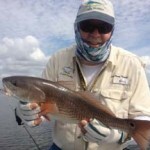 On the Saturday of the Fiddler Crab Festival we fished in the morning, going to several of our favorite spots and finding nothing, and then tried one more location and found a large school of 19 inch trout and several tournament-sized redfish. We literally were catching trout on every cast. 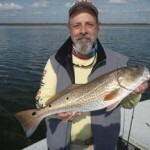 This pattern was true another weekend; we found an excellent school of redfish, catching 8 or 9 fish in an hour or so. We came back the next day, same tide, same place and found nothing there. Take home message? When the fishing gets tough, keep moving. Try different depths, different lures or baits, and be patient. I’m a little anxious to make any forecasts given the horrifying weather we’ve had, but assuming things stay as they usually do, March is one of our better months for inshore fishing. Unfortunately red grouper are closed until March 31 (gag grouper are closed until July 1). Amberjack are open for lots of hard-pulling fun, and kingfish and Spanish mackerel should be arriving soon (they already are appearing in good numbers in Homosassa so they’re on their way). As always, offshore bottom fishing should be excellent for seabass and Florida snapper, and sometime this month the sheepshead spawn will begin on offshore structure. Keep track of the action by checking with the Ship’s Store at the Sea Hag Marina to find out how the bite is. Inshore fishing should be excellent as the seagrass is already growing in and pinfish will increase in numbers on the flats. 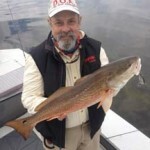 Redfish should become more numerous as they move out of the creeks and deeper water into the shallows, and will be continuing to school in good numbers through the spring. Cobia should arriving this month as well. There are several important items we’re including in the report this month. First, SeaTow is sponsoring an automated radio check for Sea Hag. When you want a radio check, please call on channel 26. You will get an automated message that will let you know your radio is working just fine. Thanks for using this great service; it will clear up Channel 9 for other calls. Second, following is the list of spring tournaments in Steinhatchee. 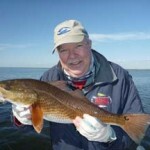 March Trout Madness: Sea Hag’s own trout tournament. Weigh in your trout at the Sea Hag for an automatic entry. Largest trout will win a Shimano rod and reel combo, and everyone weighing in a trout will win a prize!